If you’ll indulge us for a moment, Vulture decided to break out the odds to determine, through very legitimate science, which of Becca’s men is most likely to jump from supporting to leading status. To make the cut, the men already had to have made a lasting impression on viewers, and generally kept a good and media-friendly attitude throughout their respective “journeys.” Let the odds be in their favor. As calculated as the “setting Jason up as Bachelor” timeline has been at times — fess up producers, did he really create that farewell scrapbook with incredible scallop-scissors detail? — there’s no denying that the past two episodes have been peppered with subtleties to pass the baton over to Jason, should he wish to stay in the franchise. (Reminder, ladies: He’s a “senior corporate banker” from Buffalo who kisses real nice.) 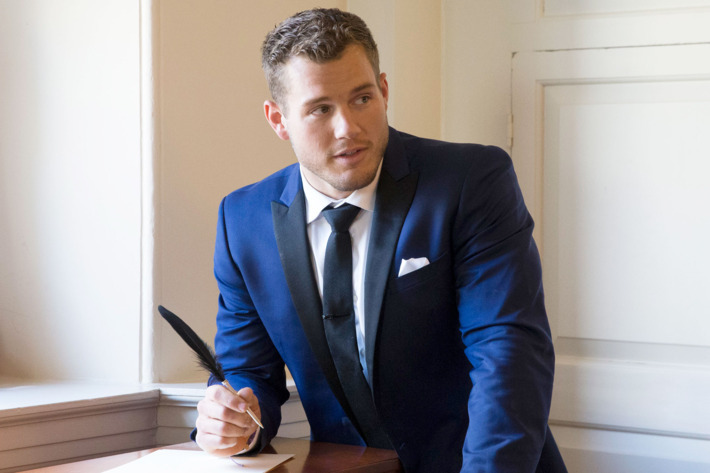 He got a long, lovingly emotional farewell with Becca in his eliminated Bachelorette episode, he seems to be a social-media favorite, and he kept up his quintessential nice-guy composure during the “Men Tell All” special when he came to the defense of other contestants. (Unlike some other men who rhyme with Schmolton.) All he needs to do is cool it on the hair gel and avoid racist memes, and the gig is pretty much his. Should Blake finish his Bachelorette tenure as runner-up, he benefits from having viewers’ immediate heartbreak sympathy and never dabbling in those aforementioned racist memes. But besides that, it really does seem like eons ago when he rode into the studio to seduce Becca on an ox, right? He seems lovely. His goofy smile makes us swoon. He’s never even done anything wrong in the conventional sense! But it’s not a great sign that while typing this sentence, we’re thinking about how much better a Jason season would be instead. ’Sup baby? The season’s snazziest dresser is easy to root for and even easier on the eyes, as is his Harry Potter forearm tattoo that he and Becca immediately bonded over. (Self-proclaimed nerds? Give us a break!) Wills is cucumber cool, silly at heart, and asserted his dominance over dumb men who looked like Chandler’s roommate from Friends when the moment called for it. In a rare feat for contestants, he also raised zero drama at “Men Tell All,” indicating he wants to stay in the good graces of viewers and network executives alike. But sadly, give the franchise’s abominable track record when it comes to diversity, we suspect he’s going to be relegated to Bachelor in Paradise romps and nothing more. 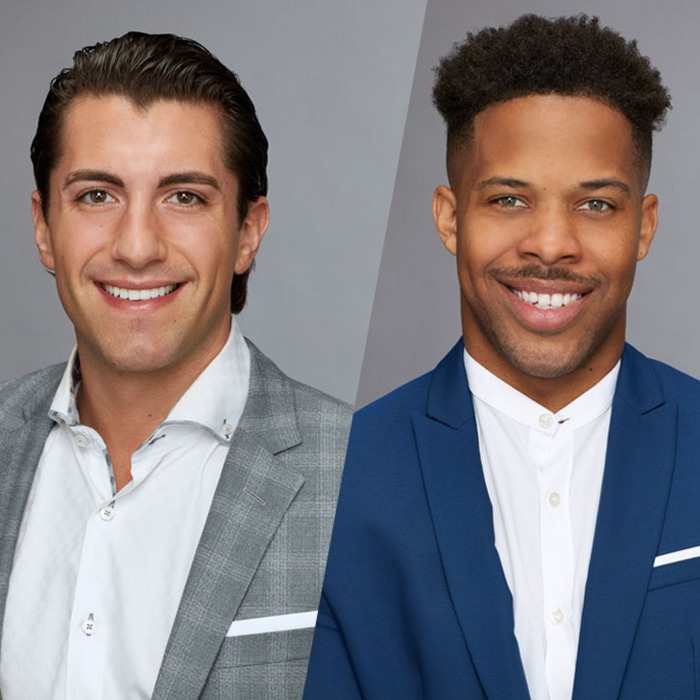 We welcome ABC to surprise us by casting its very first black man as Bachelor, though. You couldn’t ask for a better guy to make history with. 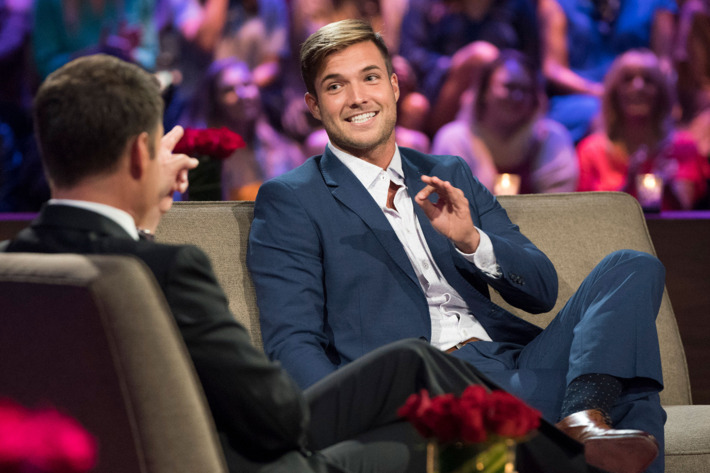 Colton had a lot of good things going for him when he was competing on The Bachelorette: those classically handsome midwestern looks, an inspiring athlete turned philanthropist backstory, and the third-act revelation that he’s a virgin waiting for the right woman. (Get it! Becca would’ve been that woman, adding to the awww-ness.) Where did it all start going south? It seems social media began to do a 180 when he explained his rationale for lying about his virginity was to keep up his masculine energy in the locker room, even though some goodwill returned to him at “Men Tell All” when he lamented about the “cheap shots” people throw at him when they discover his secret. 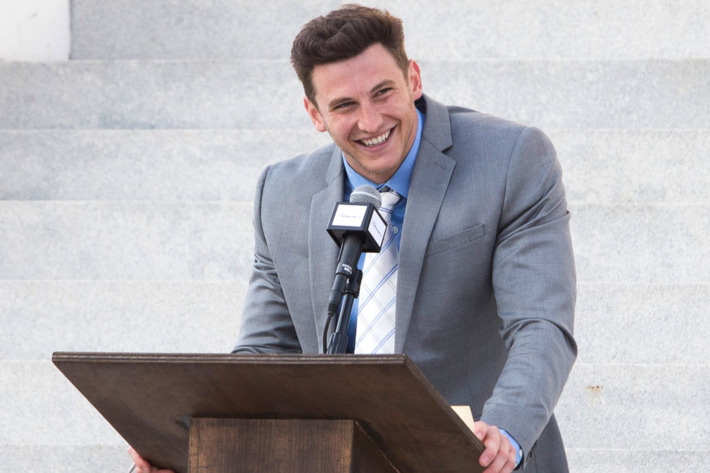 That’s fine and all — Ashley Iaconetti previously experienced a similar scenario and came out unscathed and pretty beloved — but his wishy-washy love triangle with Becca and Tia added another layer of ingenuity to his character, which, of course, the producers were happy to exploit for a season-long arc. (We should note that Colton went to Paradise and ABC promos heavily advertise the duo canoodling.) Doubled with his petty behavior at “Men Tell All” — during which he waged frivolous, F-bomb-laden fights with Jean Blanc and Jordan — his fate was sealed. Nobody wants a Bachelor who lives for the drama. 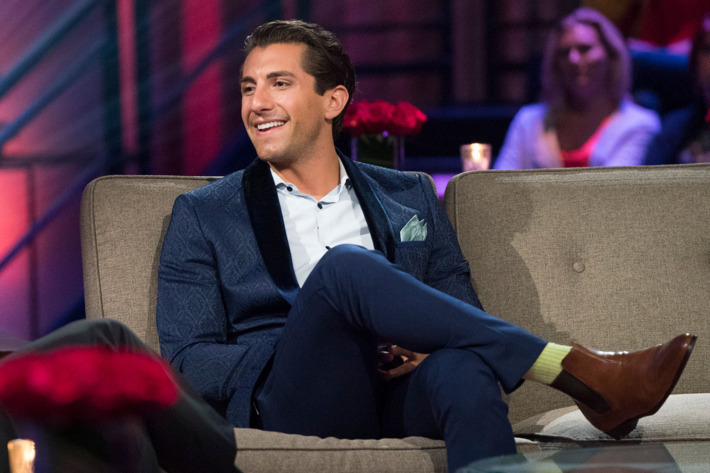 If you were patient enough to wait until the end credits rolled at “Men Tell All,” Venmo John delivered a master class in why Bachelorette viewers were so enchanted by his genial tech-bro-ness: He shot down Jordan’s assertion that his Tinder match history was in the thousands, spewing out some funky fresh statistics on how, simply, it’s impossible to obtain those numbers. With a smile, no less! Even Jordan couldn’t help but enjoy the moment. Such fun is what we could expect if Venmo John — he was one of the tech company’s first engineers — reigned as Bachelor, bringing his good-guy nature, wood-chopping abilities, secret bulging arm muscles, and financial stability to the show. But all that comes a double-edged sword: If he’s a normal dude, just how quickly will the reality-television audience turn on him if he doesn’t do anything exciting? As we learned from Arie Luyendyk Jr., it’s brutally quick, and ABC won’t want to experience those lowest of lows ever again. So, off to Paradise he goes instead. The season’s silliest villain was a sea-salt-misted golden retriever dressed up in Florida’s finest loafers, effectively ending his Bachelorette tenure after a series of dates that leaned less on romance and heavy on humor. (Seriously, can you imagine going out for a boozy brunch with Jordan? Table for two and a bottomless mimosa pitcher, please.) 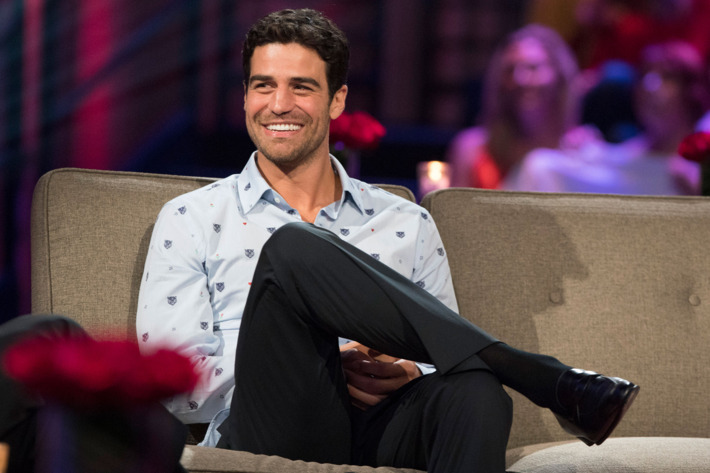 But getting a villain edit — however lighthearted it was, especially when you realize Jordan didn’t seek out most of the drama he was involved in — guaranteed him a one-way ticket to Paradise as opposed to The Bachelor, even if his goofy, good-natured personality could easily fuel a season. Hell, we’re bold enough to say it fueled Becca’s season until his elimination. 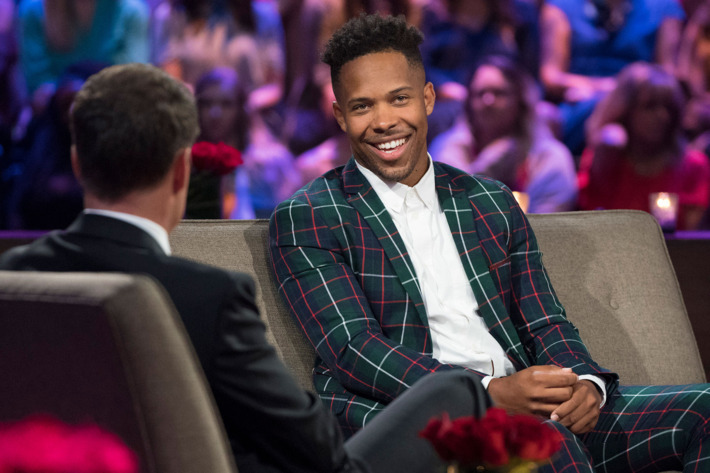 We were low-key rooting for Jordan going into “Men Tell All,” but as soon as he indulged those week-one randos with combative words and a model-off, we knew his Bachelor chances were all downhill from there. Where was the professionality when he needed it most?! 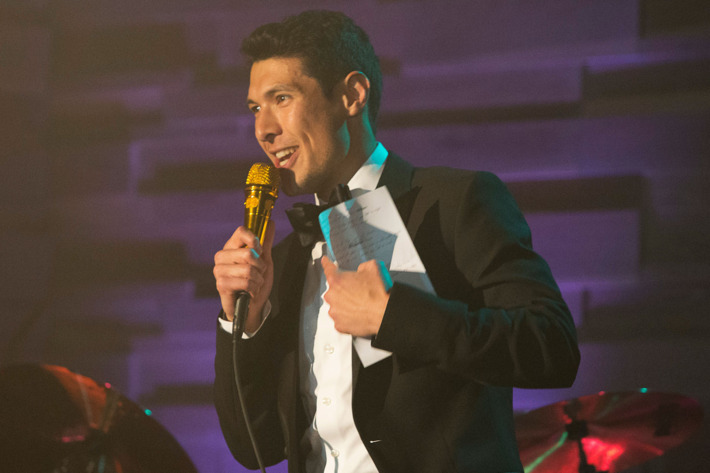 Perhaps no Bachelor Nation contestant has ever enjoyed as much eliminated-day-one fanfare than this nice boy from Chicago. The “Men Tell All” special delivered on that front, knowing social media was as ravenous as ever for Grocery Store Joe content: He was granted a coveted one-on-one interview with Chris Harrison despite barely obtaining any screen time during the season, tersely reminiscing about receiving an immediate rejection from Becca. (“It was bad.”) In theory, reverting to a contestant that America doesn’t know too well could give The Bachelor the breath of fresh, Chicago air that it needs. (Did we mention Grocery Store Joe is a nice Chicago boy?) But judging by his “Men Tell All” chat, GSJ is a fella of little words — “I don’t know you that well,” he told Harrison when he pried for relationship info — which isn’t exactly indicative of reality-show success. Also, he appeared on Paradise and implied he’s currently in a relationship with someone. We’re best to revisit his Instagram a few times a month and leave it at that.